These stockings are long and thin (more sock shaped) than the current trend for things that look more like sacks with toes attached. 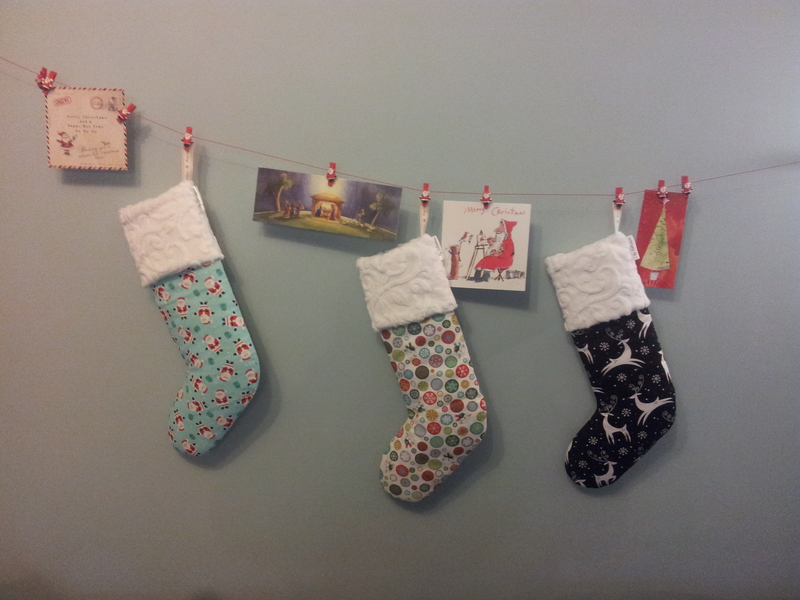 I suppose it’s because my brother and I grew up using actual socks so that’s what I wanted from my stockings! 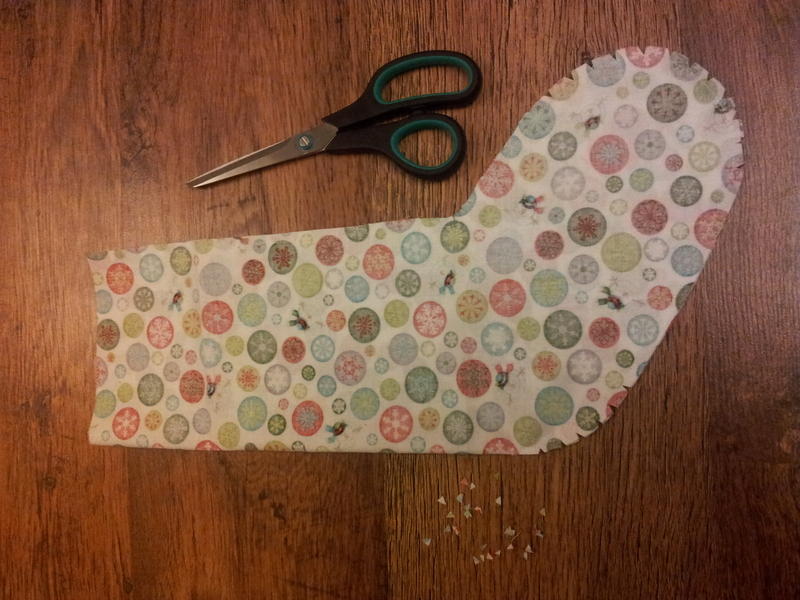 Start by cutting out all the pattern pieces, as shown above. 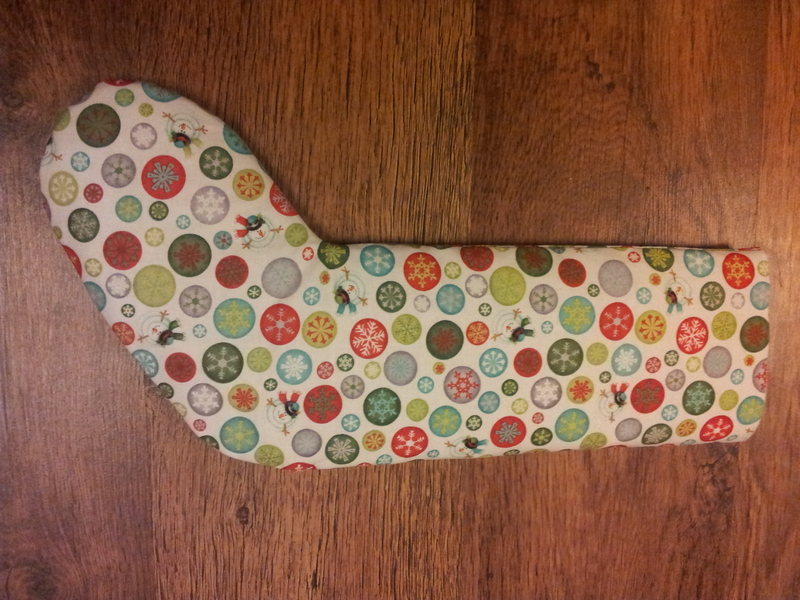 Then we’re going to assemble the lining of the stocking. 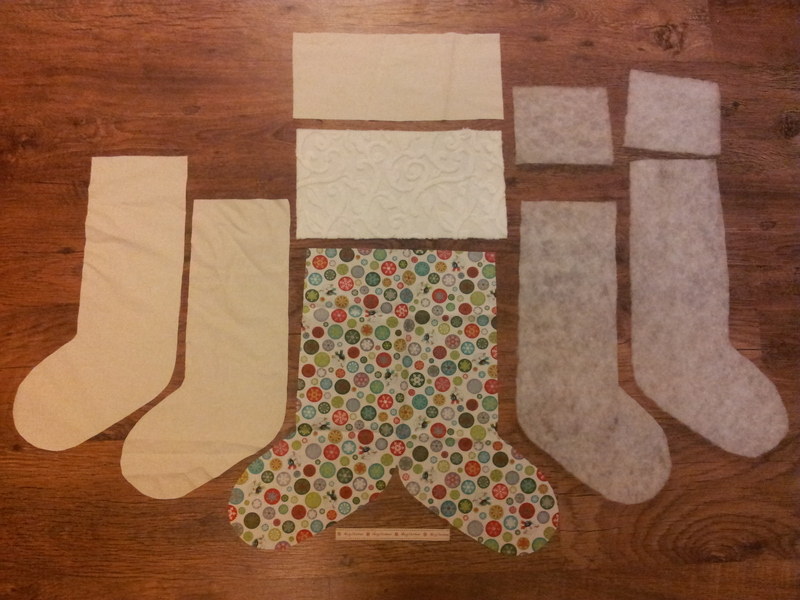 Take the two stocking shaped batting and lining pieces and layer them as: batting, lining, lining, batting. Neither my lining nor batting had a right side, but if yours do then make sure the right sides of your lining are together in the centre of the sandwich. 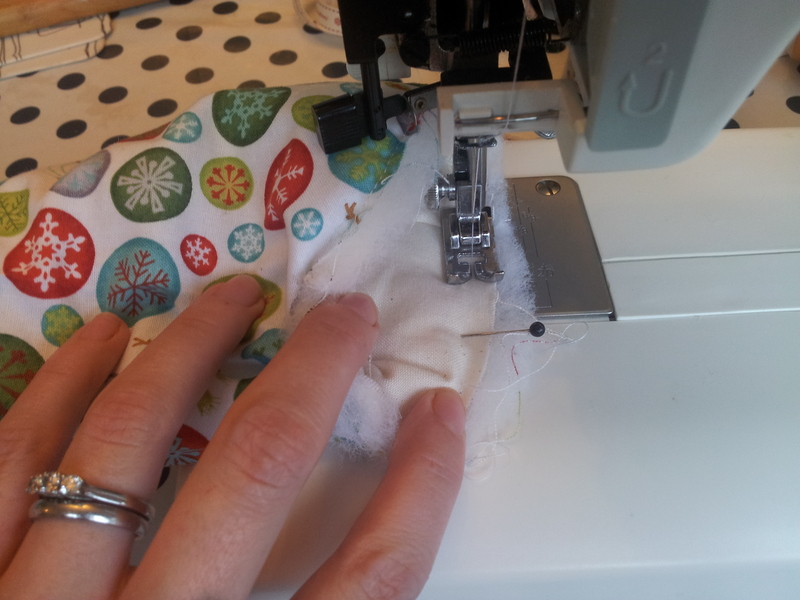 Sew the layers together slowly using a longish stitch (about a 3) due to the thickness of the fabric, and with a 15mm seam allowance, remembering not to sew across the top of the stocking! Then tie off the ends and trim the seam allowance fairly close to the line of stitching. 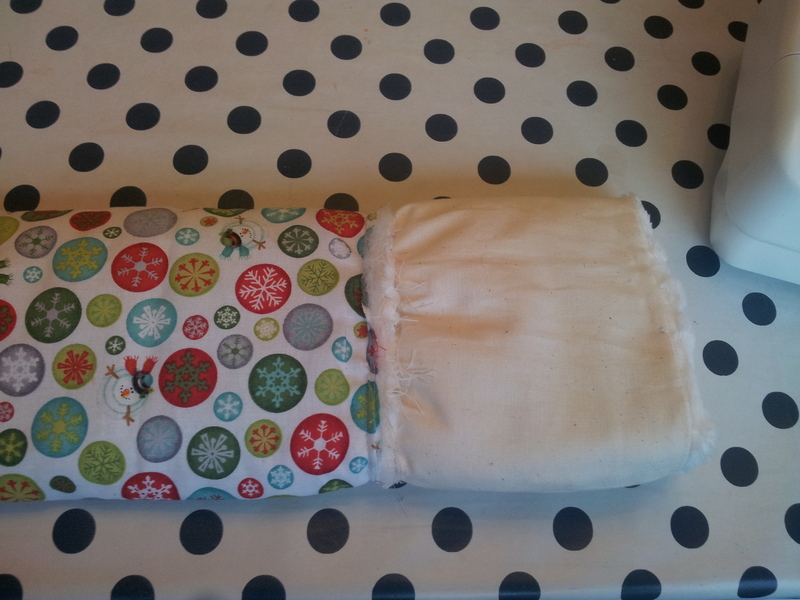 Then take the outer fabric and fold it in half along the fold, with the right sides together. Sew with a 5mm seam allowance using a smaller stitch (about a 2). 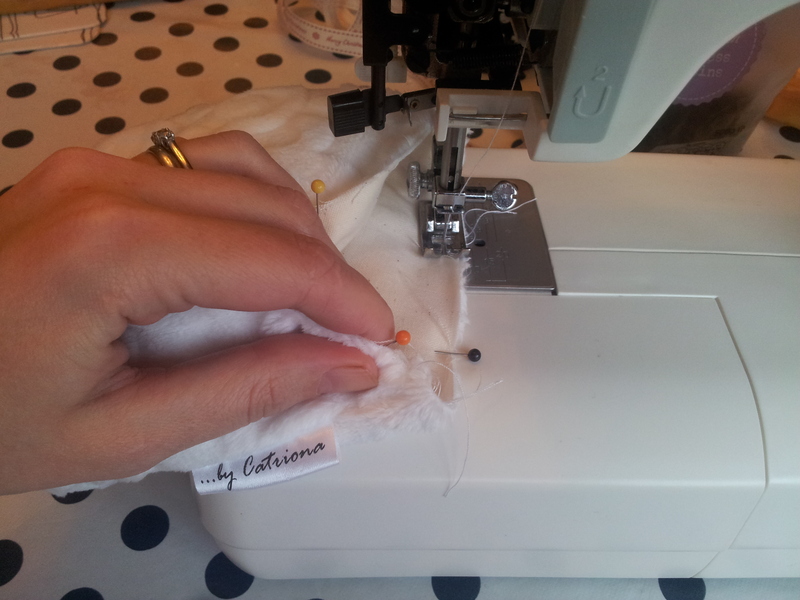 Using a smaller seam allowance on the outer fabric leaves room for the batting without your fabric pulling. It also means you don’t need to trim the seam allowance of the outer fabric, but as we will be turning it inside out it is important to cut notches in the curved areas: around the toes and heel, otherwise the fabric won’t sit flat on the finished stocking. 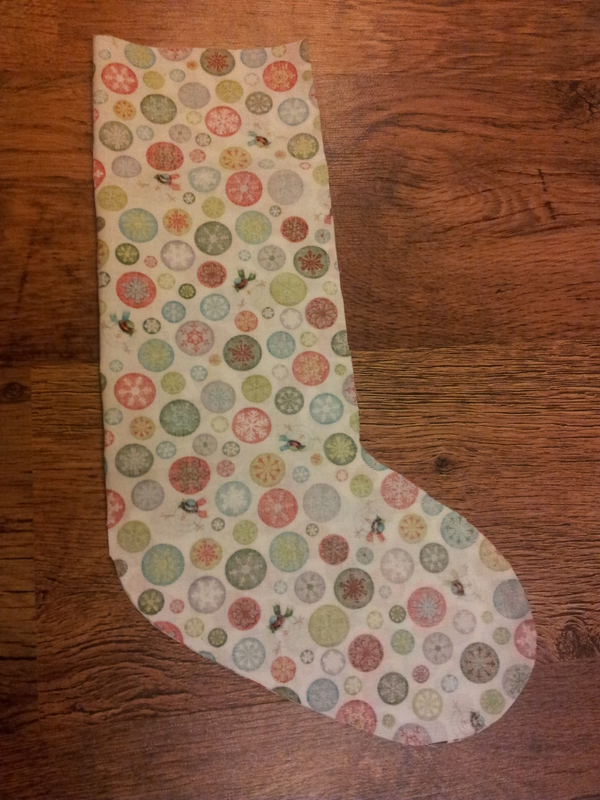 Then using a long tacking stitch sew the outer and inner layers together at the top of the stocking to keep them lined up. 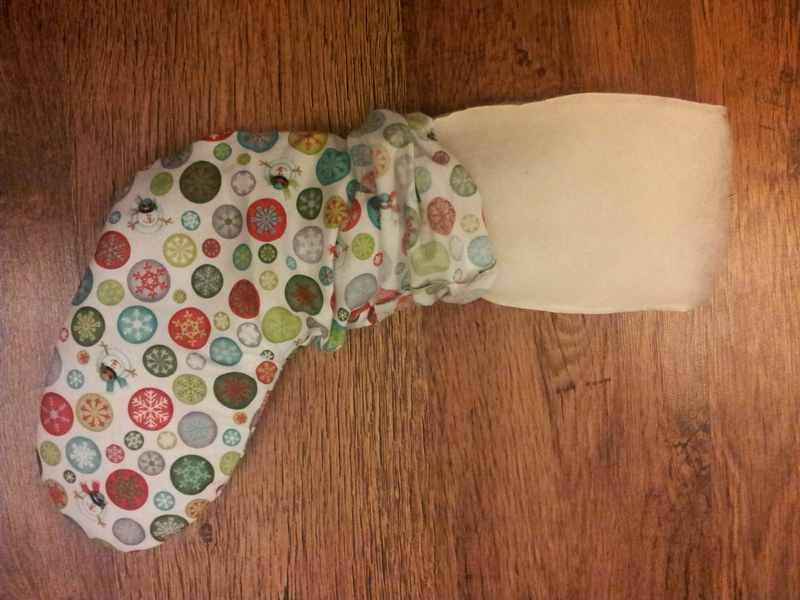 Take your fabric for the fold over at the top of the stocking. 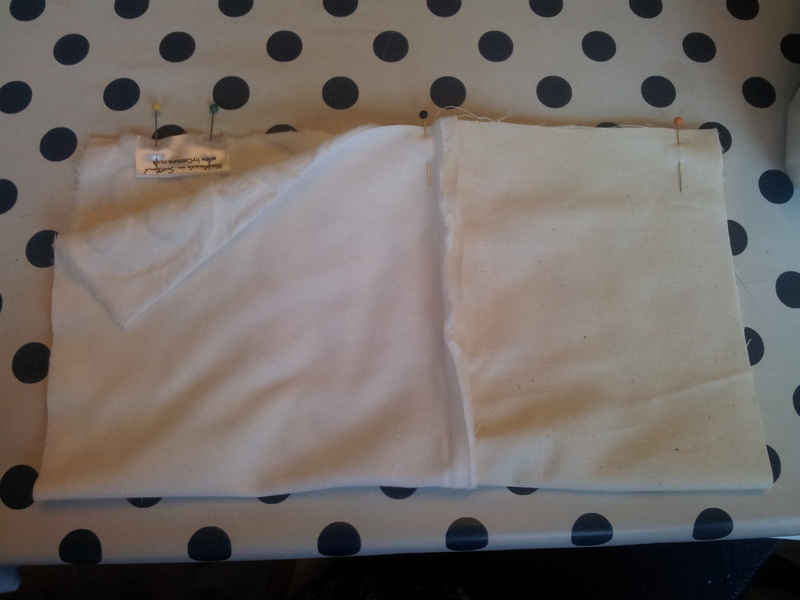 Lay the lining on the right side of the outer fabric and sew along one of the long sides of the rectangle. If, like me, you are using a plush fabric with a directional pile, make sure the pile is going to be the right way up on your finished stocking! 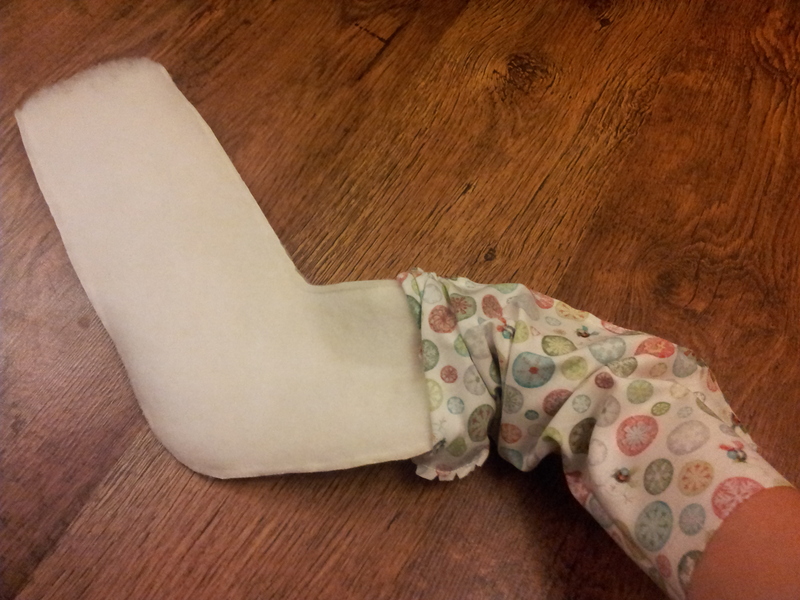 I want mine to go top to bottom, so I sewed the lining along the bottom edge of my plush fabric. 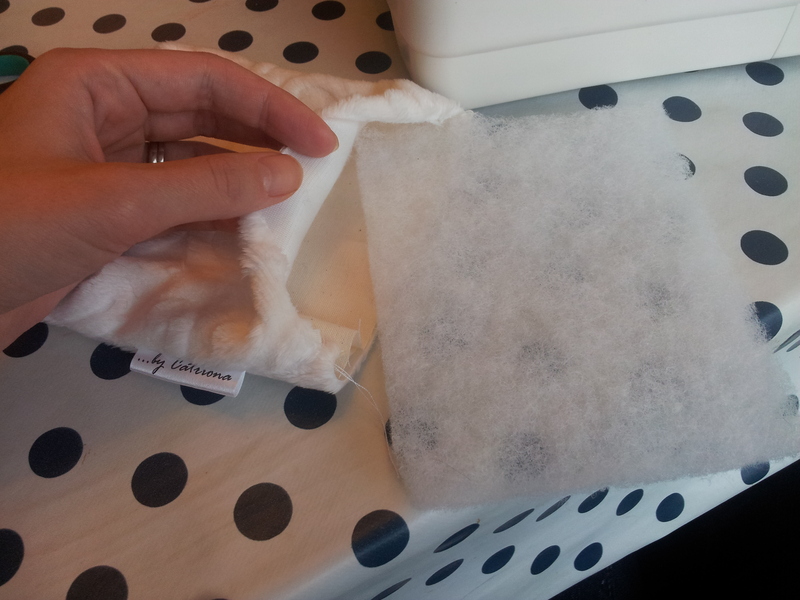 Open out your joined piece of plush and lining and fold it in half the other way to sew the sides together. 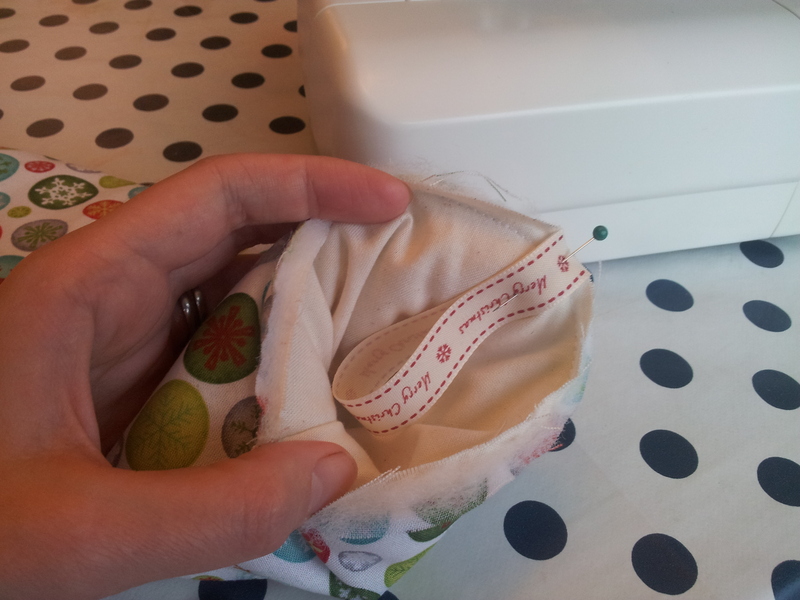 If you have your own fabric labels then this is the time to add one to your creation. You’ll notice the lining piece isn’t as wide as the plush piece. This is so that when it is folded over on the finished stocking the plush fabric will be tucked under a little, completely hiding the lining fabric. 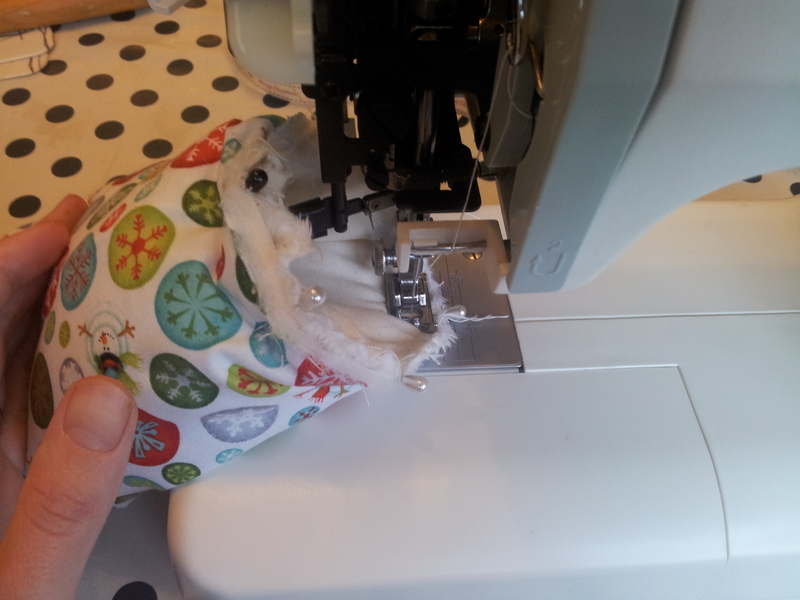 It also means you don’t need to press open the seam you just sewed, instead fold it over the lining on both sides. 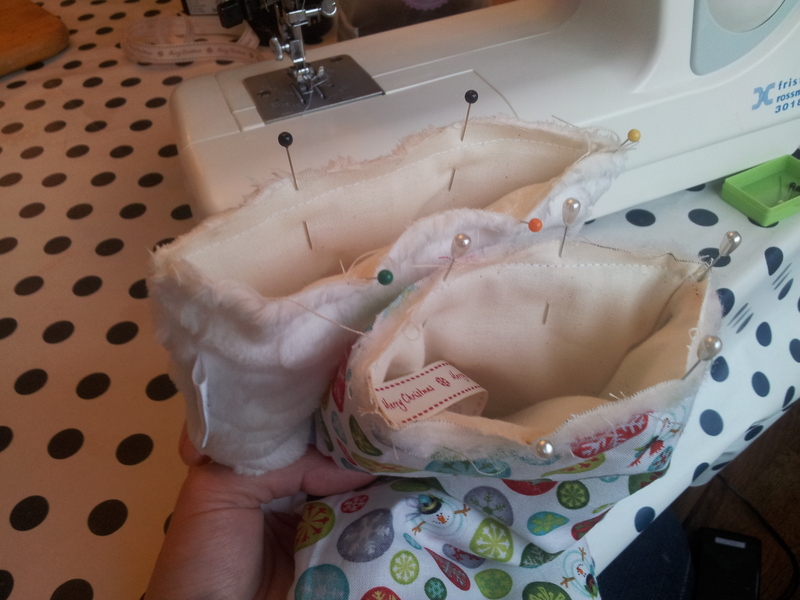 Sew all along the side seam and turn the outer piece so that it is on the outside. Tuck in one piece of batting between lining and plush on each side of the fold down piece, and using a tacking stich sew the lining to the outer layer to keep them in place. You might be wondering why I used two pieces of batting here instead of one long rectangle. 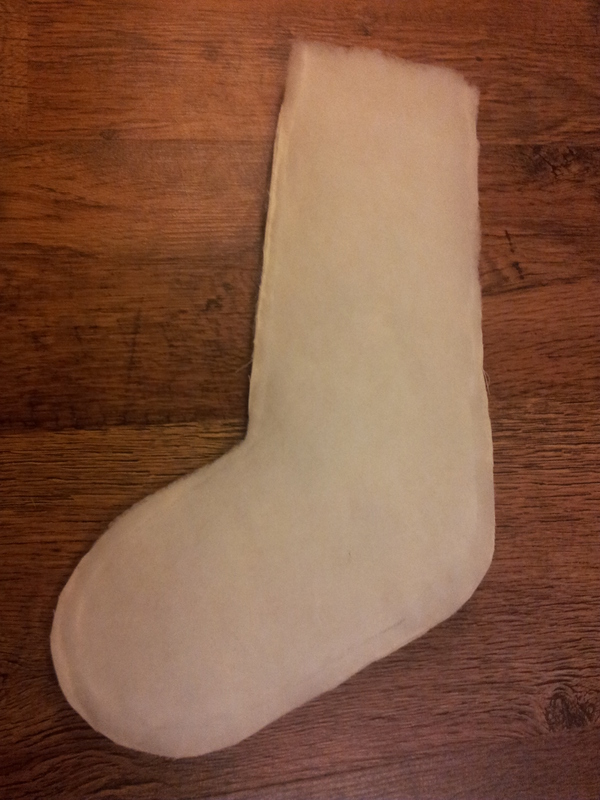 I found that by using two it was much easier to fold the piece in half and so it sits better on the finished stocking. We’re then going to attach the ribbon for the hanging loop. 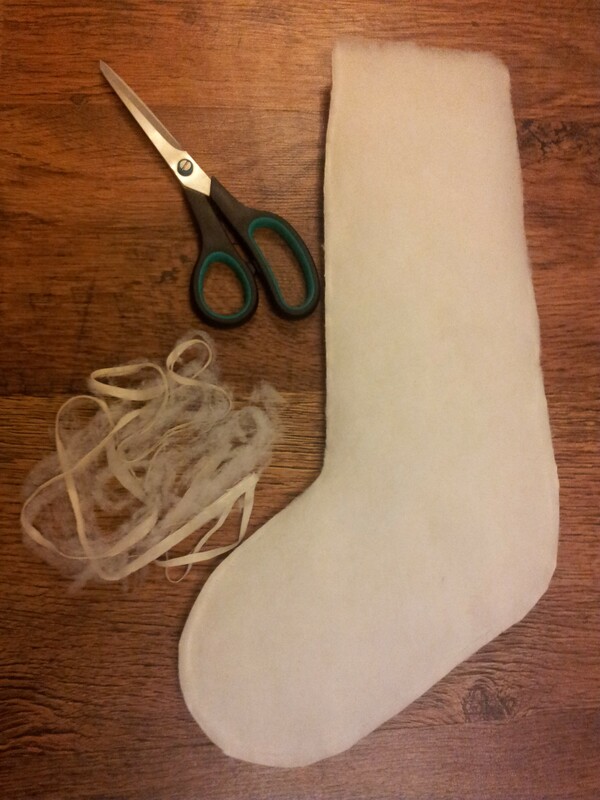 Fold it in half and pin it into the stocking so that the edges of the ribbon line up with the top edge of the stocking. Sew across the ribbon, roughly over the line of tacking stitches, using a small stitch length to make the join nice and strong. Finally comes the only (slightly) tricky part of this project: attaching the main body of the stocking to the fold down top. After a little experimentation I have found that the best way to do this is to use pins as markers. On the main body and top, seperately, put in 6 pins at roughly the equal distances apart all around the edges you tacked together. At each position take a third pin and join all the layers together where the pins line up. 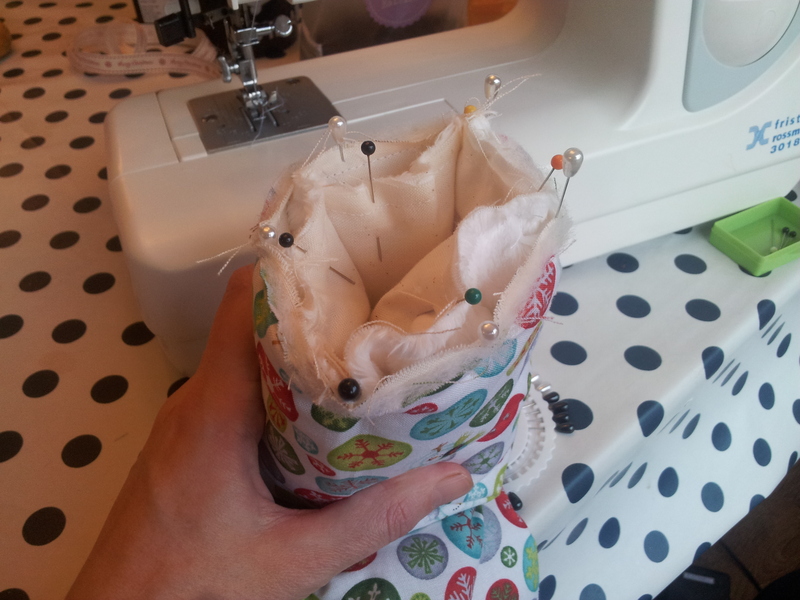 There will be more fabric between the pins on the top piece than on the body, this is called the ease, and means that the top piece will not squash the main body when it is folded down over it and the stocking will lay flat. A good thing, yes, but does make this bit a little tricky as you need to try to evenly space the fabric and not let it all gather in one place. You might find it easier at this point to hand stitch the layers together as you can go more slowly and have more control, but it is possible to do by machine if you take your time and use your fingers to spread out the extra fabric. And it doesn’t need to be perfect so if you have a gather two it doesn’t matter. Or use patterned plush like me and you won’t even see them! And fold the top down, hiding the seam. Then fish out the ribbon and display your creations with pride!